Our Michaelmas performances of Haydn's Nelson Mass will take place on Wednesday 21st and Thursday 22nd of November. Accompanied by two other short pieces from Haydn's repertoire (Te Deum laudamus and Insanae et Vanae Curae) these performances - set in the breathtaking and historic surroundings of Trinity College's Examination Hall - promise to be unmissable events this November. Tomorrow marks the start of the 2018/19 academic year, and we could not be more excited! Freshers Week will run from 3-7 September, and Choral will have a stand each day from 9am-4pm. Be sure to drop by and sign up for the year. Our first rehearsal will run from 6.30-9pm in Regent House (above Front Arch) on Wednesday 12th September (subsequent rehearsals will run from 7-9pm). You can also come along and join at this rehearsal. 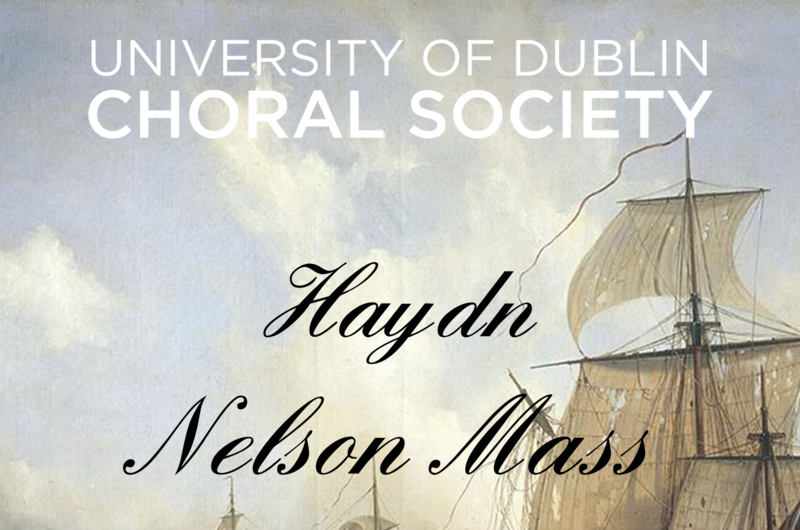 Singers of all levels of experience are welcome to join us as we prepare for our performances of Haydn's Nelson Mass in November. If you have any further questions, please get in touch via our contact us page. Our Hilary term concert is just a couple of weeks away! This year’s performance of Rossini’s Petite messe solennelle on the 21st and 22nd of March are sure to be two brilliant nights of choral music, not to be missed! Be sure to join us in the wonderful surroundings of the Trinity College Exam Hall for our final concert of the academic year. The new academic year is about to kick off, and we could not be more excited! Freshers Week will run from 18-22 September, and Choral will have a stand each day from 9am-4pm. Be sure to drop by and sign up for the year. For more information on our events programme for this year, check out our programme below. Our first rehearsal will run from 6.30-9pm in Regent House (above Front Arch) on Wednesday 27th September (subsequent rehearsals will run from 7-9pm). You can also come along and join at this rehearsal. Singers of all levels of experience are welcomg to join us as we prepare for our performances of Mozart's dramatic Requiem in November. If you have any further questions, please get in touch via our contact us page. We’ll have a stall in Front Square for the entire week where you can come along and join! Mozart Requiem and other pieces. Wednesday 22nd and Thursday 23rd November 2017 in the Public Theatre, Trinity College. Stay tuned for further details on this exciting event scheduled for December 2017! We are HUGELY excited to celebrate 180 years of the choral society and 100 years since the birth of Brian Boydell, a key figure in the choir’s (and musical life in trinity’s) history, with our Hilary Term Concert in the National Concert Hall on Wednesday the 5th of April. To celebrate we will be performing a truly original work; Brian Boydell’s Under No Circumstances. This work was composed specifically for the choir and is, more importantly, about the choir. For the work, Boydell selected excerpts from the minutes of the early days of the society, as such, it is intrinsically linked to our history as a choir and makes no better way to celebrate our 180-year anniversary. The work is laced with satire, witty moments and dark humour, the outcry against ladies attending the societies concerts being just one of many highlights of this rarely-performed work. To balance this comedic twist, we have Brahms’ German Requiem, a powerhouse of the German Romantic era, the Requiem is renowned for its striking melodies, wonderful counterpoint, and memorable melodies. Be sure to join Choral as we ring in our 180 in the National Concert Hall with a night of fantastic music. Be sure to get good seats, as this will be a night not to be missed!